Is your home safe from electrical fire? Doubling up on power points or power boards. Do not overload power boards or power points by installing more leads, double adaptors or appliances than the available number of outlets. These outlets are designed to manage a maximum electrical load, exceeding this can overheat the power point, creating a risk of electrocution or fire. Disconnect the power before removing or installing leads or appliances. Have you ever heard the charge or seen the arc flash when installing or removing leads or appliances from a power point or board? 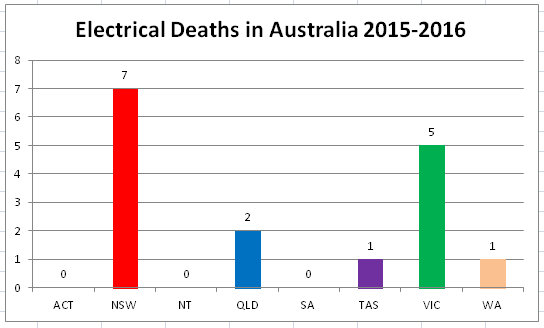 This is electricity and it can be fatal. Always ensure you turn the power off before installing or removing leads or appliances. Young kids find power points very amusing and have been known to stick things in them. If they put a metal component into a live power point they could be electrocuted. Always install power point safety plugs when young kids are around. DO NOT attempt any electrical work yourself if you are not a licensed electrician. Have a qualified electrician carry out maintenance, repairs or installation of any electrical supply. Have an electrician check to see if you have RCD or safety switches in your electrical metre box, ensuring they are tested every couple of years for operations. If you are working with any type of poles, pruners, ladders or machinery, look up to ensure there are no overhead wires that you could come into contact with. Before digging ensure you check the location of any electrical service, which can be done easily by contacting Dial Before You Dig to lodge an application. If it is an appliance or lead, turn power off and remove from service and have it tested and repaired or replaced. If you get a shock from the tap or water supply go to the metre box, turn off the main power supply and contact an electrician for further investigation. It is messages like these that are helping to save lives so feel free to share. We recommend this simple safety checklist to assist in heeping your home safe.